This is an article about using my Windows 10 laptop as a business consulting machine. It is a summary of things I have found to be useful in my daily operation. This is an article about using my Windows 10 laptop as a business consulting machine. I had very recently upgraded my Lenovo ThinkPad X230 from Windows 8.1 to Windows 10. The upgrade story is described in the link below. This article is the fourth in a series: First impressions of Windows 10 (now history), Upgrading an older Windows 7 machine, Upgrading a newer Windows 8.1 machine, and now Thoughts on using Windows 10 thirty days after introduction. I use my Windows 10 Pro as a working business machine. I expect extraordinarily excellent performance from it. I have no time for crashes (and actually I do not suffer BSOD crashes at all); and I also have no time for “Stopped Working” errors in Reliability Monitor either. I work out what the errors are and correct them. When I turn the computer on in the morning and set out for a client, the machine just runs. So now, having upgraded to Windows 10, what did I find? Generally I am pleased, and after 30 days of use, Windows 10 is more reliable (by a fair margin) than Windows 8 was 30 days after its introduction. It supports all the software I had in Windows 8.1, although a few applications have subsequently been updated by their respective vendors. What do I use in daily use? Office 2013 Home and Business works fine in Windows 10. VMware Workstation V11 works fine, but V12 has just come and I have upgraded to Workstation Pro V12. It appears to be a nicely polished product that supports Windows 10 and runs my complete inventory of virtual machines. Adobe Acrobat DC (V2015) works very well with little problem. QuickBooks V2015 works fine. Some of the sub windows do not display properly (like Print) and I must close and reopen. This is an annoyance but QuickBooks works without breaking, and the annoyance will likely be spotted and fixed in V2016 due out in less than 90 days (October or November, 2015). Camtasia and SnagIt (TechSmith) both had Windows 10 upgrades which I have done. The Windows 8.1 driver for my HP8610 printer works in Windows 10 although it had to be repaired. NCP Secure Entry (top notch client VPN) had a minor upgrade for Windows 10 and it works fine. This a critical program in my business and I was happy it worked without fuss. xPlorer2, Ultra Edit, Ultra Compare, Beyond Compare, Win Merge, and WinZip all worked without any upgrading. My (now beloved) Nokia CS-18 USB Internet stick just worked. I got this when I had Vista 6 years ago and it just works. It supports 4G where available and delivers good 3G speed everywhere else. Sync Back Pro V7 works fine in Windows 10. I recall there was a recent upgrade but I think that was a normal upgrade. I use Sync Back Pro to keep daily backups of all my documents. iTunes works and it has been upgraded since Windows 10 came out. Windows Updates have changed significantly in Windows 10. 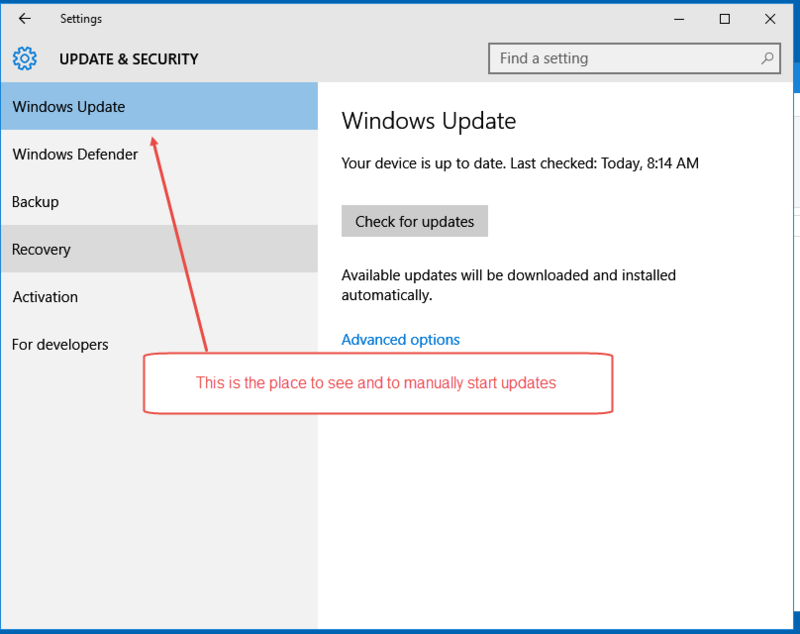 In the Home and Pro versions for individual business and home users, Windows Updates are now automatic. You cannot disable them and, in fact, it is rarely a good idea to disable updates. There are three classes of updates for me. First, regular Windows updates appear in Start, Settings, Settings, Updates and Security. See the picture below. You can see in here, or in the notification icon (lower right in the System Tray) that a restart is pending. You can set the time or close out and do it immediately, but you cannot turn updates off. This is new. Second, Windows Apps (from the Start button) update automatically and without warning. So far, they also do not require restarts. I also see “App X” that “stopped working” in the first week of Windows 10 now being updated. I bashed Microsoft mercilessly for the truly bad shape they delivered Window 8 as I am sure many others did. They appear to have listened and are fixing the mess – silently so they do not have to public admit errors. Third, Lenovo Apps update automatically and without warning. Lenovo also did a terrible job with Windows 8 and apparently are committed to making things work. So all told, updates are brand new and your Windows 10 machine will update when it wants to. 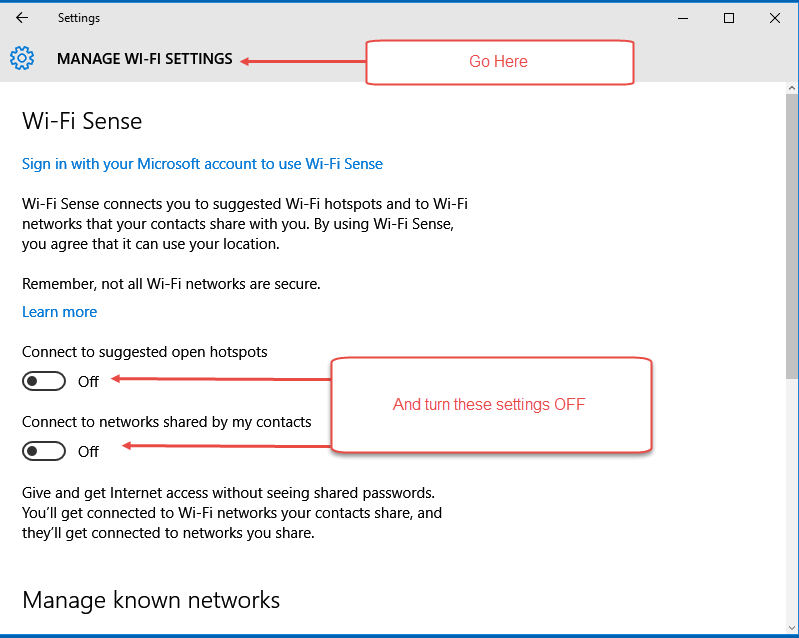 Do not try to disable – you cannot with native Windows 10 anyway, and in general, I think the new method improves reliability. 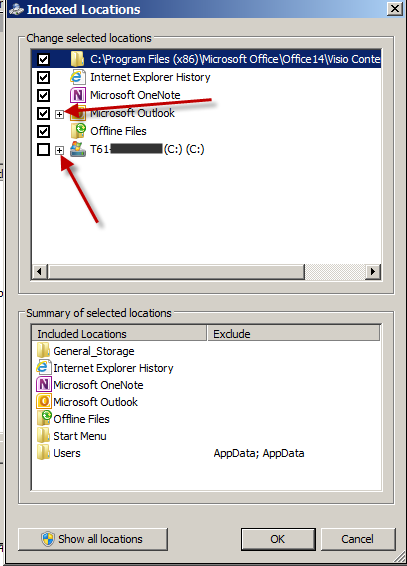 Windows 7 brought us a little up arrow in the System Tray where we could manage what icons were shown and what were hidden. 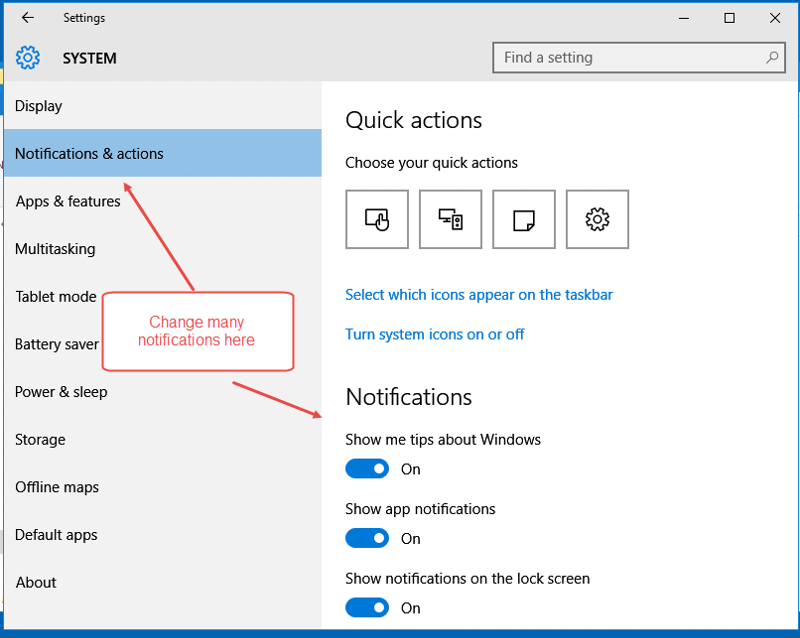 This has disappeared in Windows 10 and replaced by Start, Settings, Display Notifications and Apps, Notifications and Actions. This is a more comprehensive way to manage overall notifications and appears to work properly once I got used to it. Many (not all) Control Panel functions can be managed this way. Regular Control Panel is still available and I set things both ways. It is in this area where most of the furniture has been changed. Microsoft must have a whole division dedicated to changing the furniture for no particular reason and confusing people on the way by. Nonetheless, everything we used remains there, just in different places. By the way, if you use Reliability Monitor, it too has changed. Go to Control Panel, Security and Maintenance and you will find it there. This was a cause for concern when Windows 10 was introduced a month ago. The best thing to do is turn sharing off. I do this. See the picture below. It is fairly easy to do and improves overall security. Edge works but it is not yet compatible with everything, so I use IE 11 as my default browser. It works well and it will be around for a long time. I expect that Edge will improve and grow up, but in the meantime, I need a browser that works on all sites and with all applications without exception. IE 11 does this for me. 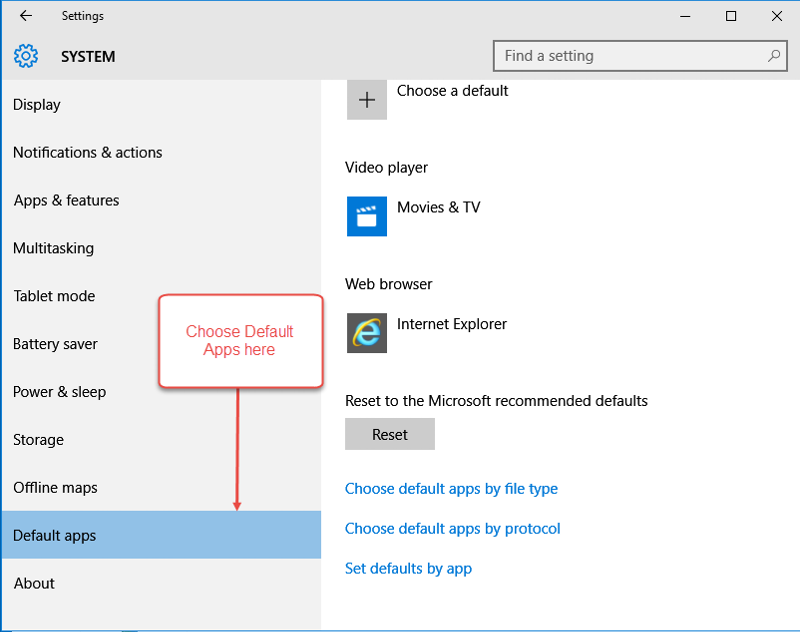 Default Apps can be chosen through the default apps screen (see the picture below) or in Control Panel in the more traditional approach. I use IE 11 (as noted), regular Photos and Videos (as were offered in Windows 7 and 8. I may change over time, but that is what I am using just now. The default Windows Theme and the only one so far use White Title bars. These blend really well with the white back ground of applications and the white on white combination has exceptional contrast to make certain that you lose your place. If you wish a just a wee bit more identification of your programs, go to the link below (active and safe as I write this), download and install the theme. It has blue title bars (I think you can change the colour) and I blended this with a plain background which I like. For the resultant appearance, please see below. 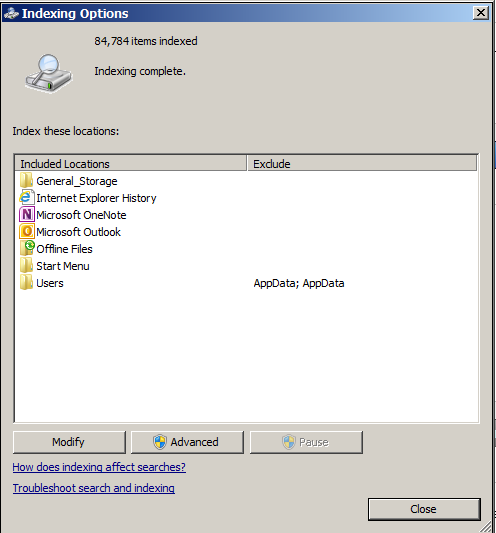 Windows Search was an afterthought in Windows XP, was better in Vista and worked quite well in Windows 7 and 8 / 8.1. If has changed in Windows 10 (you expected different?) and combines Internet and Desktop search into one tool. It also includes Cortana so that you can activate it by talking to it. I am still in transition and so far, I keep Web Searches (Google) and Desktop Searches (Windows Search) separate and I somehow expect that I am not unique. On a regular computer, I also do not need to talk to my search engine. 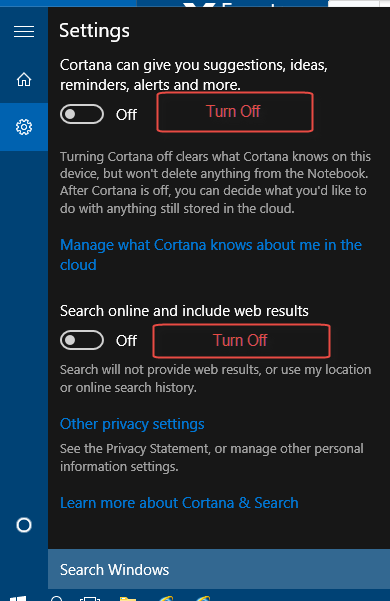 So to get started, in Windows Search, I disabled web searching and I turned Cortana off. You may think differently and I might change in the fullness of time. Right now my files are fully indexed and Windows Desktop Search performs very well for regular searches. See below for pictures of Search and of the Index Setup. This has been revised in Windows 10 and the ability to view and switch tasks is the best rendition so far in Windows 10. 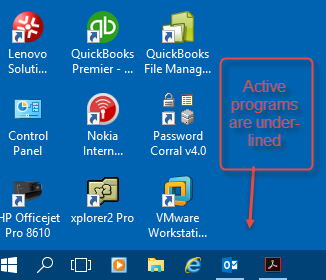 The icon for viewing the active programs is on the taskbar in the Quick Launch section. 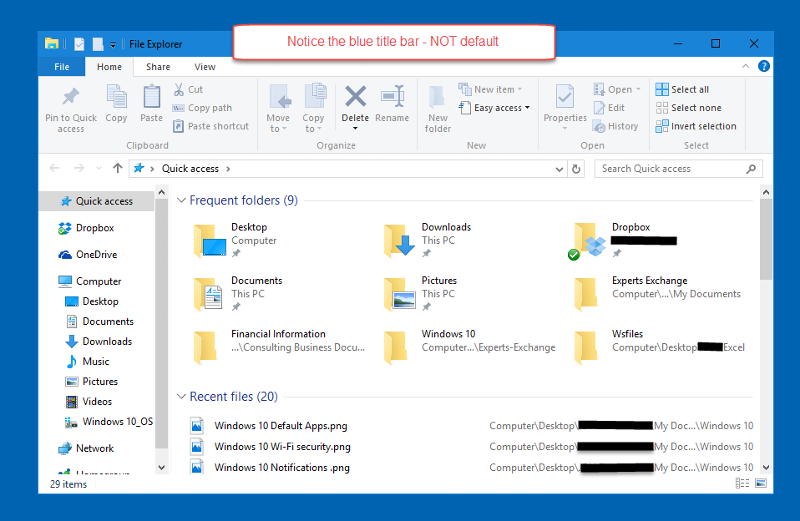 See the screenshot below and notice the appearance on the desktop of the active programs, notice that active programs are underlined in the taskbar and notice that you can add virtual desktops. I have written the above article from the perspective of a business person with an active list of multiple clients and the need to be on the go all the time. This may not be your perspective. The computer is a commercial Lenovo “X” computer and suspends works just fine. I can suspend and un-suspend multiple times a day without issue. The Nokia CS-18 US stick gives me Internet on the run and the ability to serve clients most anywhere I happen to be. What has Windows 10 done for me? It works. It uses all my existing software without much issue, it handles a load as well or better that earlier operating systems, and it has proven to be fairly reliable in the first 30 days of operation. I expect reliability to improve, and overall Windows 10 is an improvement from Windows 8.1 (which I had working very well). Search has improved and I like it. Task switching is very much improved and I like that as well. I have on board 50 GB of files, 25 GB of documents and email, and 125 GB of virtual machines. I can find anything I want and do just about anything I wish to do in a business environment. Speed is very good. My ThinkPad X230 laptop has a quad core i5 CPU with a 500 GB 7200-rpm hard drive. My ThinkCenter M90p desktop has a quad core i5 CPU with two 500 GB 7200-rpm hard drives running Windows 7 Pro 64-bit. Windows 8.1 was faster than Windows 7 on comparable machines and Windows 10 is at least as fast as Windows 8.1. It is not sluggish in the least. CPU runs at < 5% more than 95% of the time. If you have not yet tried Windows 10, try it. I think you will be pleasantly surprised. If you have Windows 10 in a business environment, I hope you have enjoyed the ideas I have put forth here.